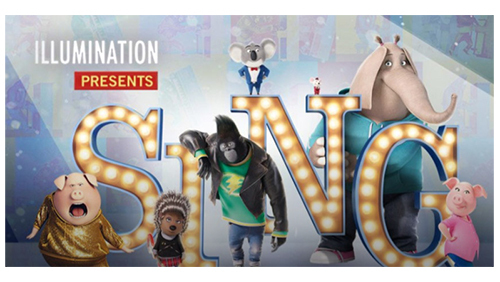 A koala impresario stages a singing competition to save his theater. Meet the pig mom, teenage gorilla, shy elephant and punk porcupine. Free admission forl children under the age of 13 accompanied by an adult.